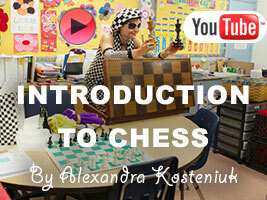 We hope you’ll like this 18-minute Youtube video of Chess Queen™ Alexandra Kosteniuk introducing the game of chess to a kindergarten class in the USA. If you do please Like this post! Enjoy!